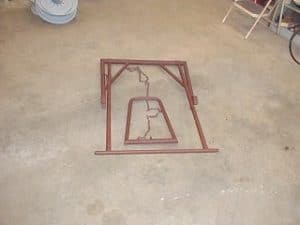 The Dearborn accessory tractor jack. 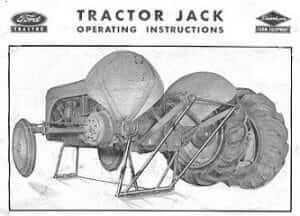 This handy gizmo can lift the entire tractor up at once to allow the operator to remove tires and adjust tread width. Folds up to a compact package for storage. The tractor uses its own hydraulics to raise itself.